Postoperative cognitive dysfunction (POCD) is a disturbing reality, the consequence of which may be significant morbidity and mortality. The spectrum of memory dysfunction, including acute delirium, postoperative decline, and dementia, is a source of anxiety for patients and their families. Comprehensive awareness about POCD may provide a direction to identify, manage, and prevent POCD in most vulnerable patients. POCD also has long-term consequences of costs involving the management of the cognitively debilitated. Persistent postoperative systemic inflammation is a key element that contributes to pathogenesis of COPD. 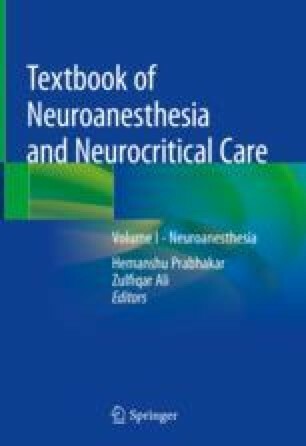 Advanced age, metabolic syndromes, neurological disorders, and wrong choice of anesthetics/sedative drugs may each result in excessive and prolonged neuro-inflammatory response to surgery. By recognizing patients early enough in the occurrence of ongoing inflammation, interventions can be suitably executed. This chapter aims to discuss comprehensively the pathogenesis, risk factors, management, and prevention of POCD in patients after non-cardiac surgery.